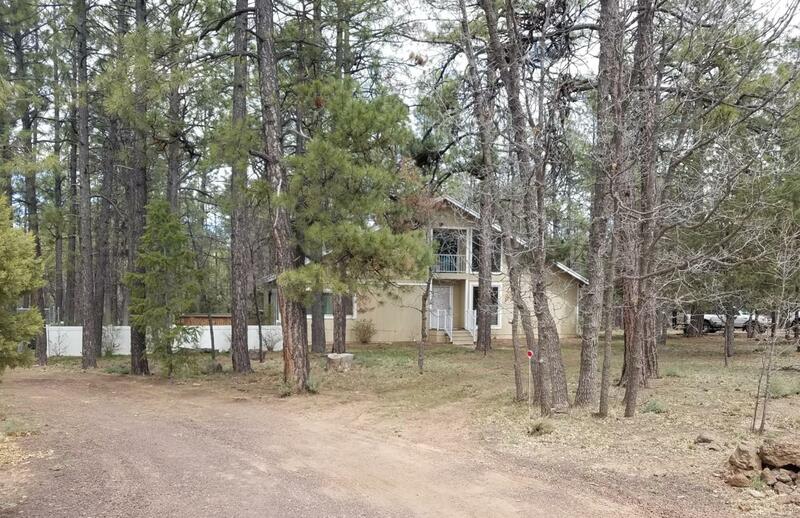 This Mountain Escape Home/Cabin is located on 2.11 beautifully wooded acres in Lakeside on the Mogollon Rim with tall pines right across from the pristine Fort Apache Reservation land. This property features a spacious 2bed, 2ba, 1,434 SqFt home with great views, no HOA's, CC&R's, enclosed private well, greenhouse w/power, fenced-in back yard, RV hook-up and bk generator. Home has been completely remodeled to include New Flooring, Cabinetry, Fixtures, Furnace, Water Heater. Home amenities include Vaulted Ceilings, Ceiling Fans, Woodstove, Loft, laundry room, large deck and fire pit area surrounded by tall Pines. Check your list; this has at all. Enjoy the peaceful tranquility of nature and the forest at your mountain retreat home. **DON'T MISS OUT ON THIS OPPORTUNITY ** it Won't Last Long!